.pdf form from Vanilla Heart Publishing. are just $7.50 Instant Download! The woman leaned towards Julie to whisper near her ear. “I think I was poisoned.” When she backed away again, a tear rolled down her cheek. “I feel funny.” She put her hand on Julie's arm as if seeking comfort. “No, I was poisoned.” She lowered her voice and whispered to Julie. "It was on purpose." “At lunch. Yes, it was at lunch." “Where did you eat lunch?” Julie calmly asked her, but the woman’s limited answers were frustrating her. "Where you in a restaurant?" Julie paused. "Do you live with anyone else?" "Just my cat. I live with my cat." Now she started crying and she hung on Julie for support. "Why would she do that to me? Why?" The police officer came back to them and quietly mentioned to Matt that he found an emergency contact for the woman and had the desk contact her. He had received word that a sister was on the way down. Matt shook his head. He decided she was just some nutcase. He was happy that Julie had the patience to deal with her, he had no patience for this kind of crap. Damn it, he thought, he was a goddamn paramedic and he wasn't being paid enough to be a shrink. She should be classified an Emotionally Disturbed Person, an EDP, and sent to a local psychiatric facility for evaluation. It was a waste of his time. Julie's too, but she seemed willing to humor the old biddy. “She? You think your cat tried to poison you?” Julie continued as nonjudgmentally as possible. Matt took a deep breath and came to the woman’s side. “Ma’am, uh, miss, maybe you’ll let me take some of your vitals now? Just so we have a good idea of… what kind of poison we’re dealing with?” This was more of the nature Julie usually saw with Matt. “Maybe you should let us take you in by ambulance.” The young EMT spoke up. “I don’t need you to take me by ambulance.” She looked at Julie and was exasperated. "I thought we were really getting somewhere?" Julie tried to comfort the woman. "Okay, how about we just take a record of how you're doing, just so we know what kind of poison we might be looking at. I think I heard the officer saying that somebody from your family is going to come down." "We really can't do that." The woman looked angry. "Hey, I'd lose my job." Matt was finally acting more like himself and Julie was relieved. "I think Julie's right, you know, let us take some vitals. We can stay right here and wait for your sister. Then if you still don't want to go with us, I won't make you." She looked back at Julie for confirmation. "I don't have to go?" "That's what the man said." Julie nodded. "Well, okay." The woman walked regally over to the gurney and sat before anyone could even suggest it. She shrugged her coat off of one arm and automatically rolled her sleeve up. "I know the routine. They did this to me yesterday, too"
Julie looked up in surprise. "Yesterday?" "Yes. I was at the hospital yesterday. But they didn't do anything for me." Julie had pulled the glucometer from her bag. She had thought to check the woman's blood sugar, sometimes that caused altered mental status if it was too high or too low. She saw Matt was getting the pulse-oximeter out to check for her blood oxygen level. The EMT had come over and was taking the woman's blood pressure. Except for some minor hypo tension, a low blood pressure, the woman seemed fine. "My name is Carol, dear." The woman was quite friendly as she answered Julie. Julie smiled. "Carol, do you take any medications or have any medical conditions you can tell us about?" "Oh, yes, I take, I can't remember the name, um, I think have it in my purse." She extended an arm to the police officer that had picked her purse up. He handed it to her and she quickly looked through it. "Here it is, Amy-Tripped-A-Line." She pulled out a prescription bottle. "Amy-Tripped? May I see that bottle?" Carol handed Julie the prescription. "Amitriptyline." Julie looked up at Matt. They both recognized the mood elevant drug often used for depression. Reading the prescription label, Julie turned to the patient. "When did you take this last?" Carol giggled suddenly. "At lunch. I am so bad, I forgot to take my medication yesterday and I know my doctor will be so upset with me." "So?" Julie had a bad idea of what was coming next. "I took three pills with my lunch. So he won't yell at me for missing my doses." Just then a cream colored T-Bird pulled alongside them and an almost identical woman stepped out of the car. "Carol!" "Omigosh, Bea, what are you doing here?" Carol looked surprised. "You're the sister?" The lady nodded and Julie went to speak to her. Julie explained that Carol had taken her daily dose of three pills all at once instead of spaced out through the day. She had overdosed on her medication and the confusion she had suffered was probably a result of that. The sister turned towards the woman sitting on the cot. "Carol, you do this all the time!" She shook her head and then turned to Julie. "Do you have something for me to sign? I already called her doctor." Carol started whining. "I don’t want to go to the hospital." She turned to Matt. "You said I don't have to go to the hospital." "We are going to Dr. Lacy!" "Oh." Carol looked at her sister and suddenly seemed very meek. "Okay." Julie made sure that Bea was going to take Carol to the doctor immediately for treatment. The sister signed the necessary R.M.A., refused medical treatment, forms for her sister and just to be safe, Julie had the police officer sign as a witness. Both crews were now able to leave although Julie wanted to wait until Carol was actually on her way. The two women drove off in the T-Bird. Bea told the officer that she’d have Carol’s car picked up later. Matt and Julie packed up their gear and shared a few pleasantries with the cop before pulling back out onto the road. Matt looked at Julie in the rig and grinned. "Her cat poisoned her? I kind of liked that theory." Then he shrugged. "Okay, you were right, she did have something wrong with her. She wasn't just a nutcase. I just don't want to hear any I-told-you-so's." He started the ignition and turned away from her. Julie smiled to herself. At least it had broken the tension between her and Matt. He was really impressed with her. She just wouldn't give up on that old bat. But then he knew how kind she was and how she cared about her patients. An angel. She was an angel and he loved her for it. He looked so forward to the time when he would tell her, when it was just them alone, how special she was. And he would show her how special she was. When it was just the two of them, when he would finally spill his seed into her. Julie. Even her name sounded like an angel's. His angel. His. 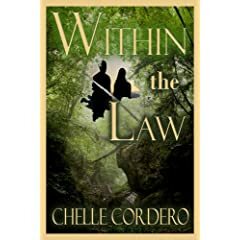 I'm the guest on Tamela Quijas-Romance Author today and we're chatting about Within the Law. Please stop by & PLEASE leave comments. ...and don't miss the special discounted prices on all VHP fiction ebooks including Within the Law all thru May! By Popular Demand, we've extended the deadline for donations to Midnight May 31! 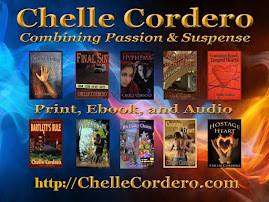 That's right...now through Sunday, May 31, each and every purchase of Final Sin by Chelle Cordero (Print, Kindle and Ebook editions) will generate a $1 donation to Stony Point Ambulance Youth Squad to aid and support these terrific young people dedicated to giving to their communities! To celebrate the release of Final Sin, an exciting murder suspense with intriguing real-life Emergency Medical Services scenes and storyline, Chelle Cordero and Vanilla Heart Publishing are pleased to announce we will donate $1 per copy sold during launch party week to the Stony Point Ambulance Corps Youth Squad, where youths age 14-18 receive training and experience in the field of Emergency Medical Response, under the direct supervision of highly skilled, professional responders of the Stony Point Ambulance Corps. Every dollar donated goes to Stony Point Ambulance Corps Youth Squad to help supply training, medical and other supplies, and activities for these dedicated youth…YOU can make a difference! Donations Extended Through May 31st! 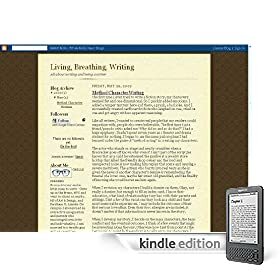 To register your purchase of Print or Kindle editions, please email VHPPromoTeam@vanillaheartbooksandauthors.com with your name, email, and the info of your purchase including edition (Kindle or Print), and the last 3 digits of your order number. All Ebook sales are automatically counted by our Ebook Catalog detail counter, so no additional `work' is necessary for Ebook purchases. Join host, Naomi Giroux as we visit with Chelle Cordero to discuss her writing style, where ideas come from and learn her secrets of being successfully published. Visit http://www.ijustfinished.com for more author information. Remember to rate this show. You can send comments and questions to ChelleCordero@gmail.com before May 29 and I will use some of those to make an entry post by 9AM on that day - then throughout the day I will keep stopping in to answer comments posted on the blog until 7pm. 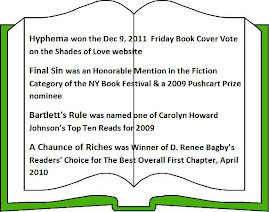 And please also join me on Books-With-Heart Blog-Talk-Radio on Wed., 5/20/2009 4:00 PM http://tr.im/ksWi We will be talking about Final Sin and Emergency Medical Services Week. ...and lastly, don't miss the special discounted prices on all VHP fiction ebooks including Final Sin http://tr.im/ksfh all thru May!